Floris is available from Place Direct. Exclusive, Handcrafted and Luxurious. 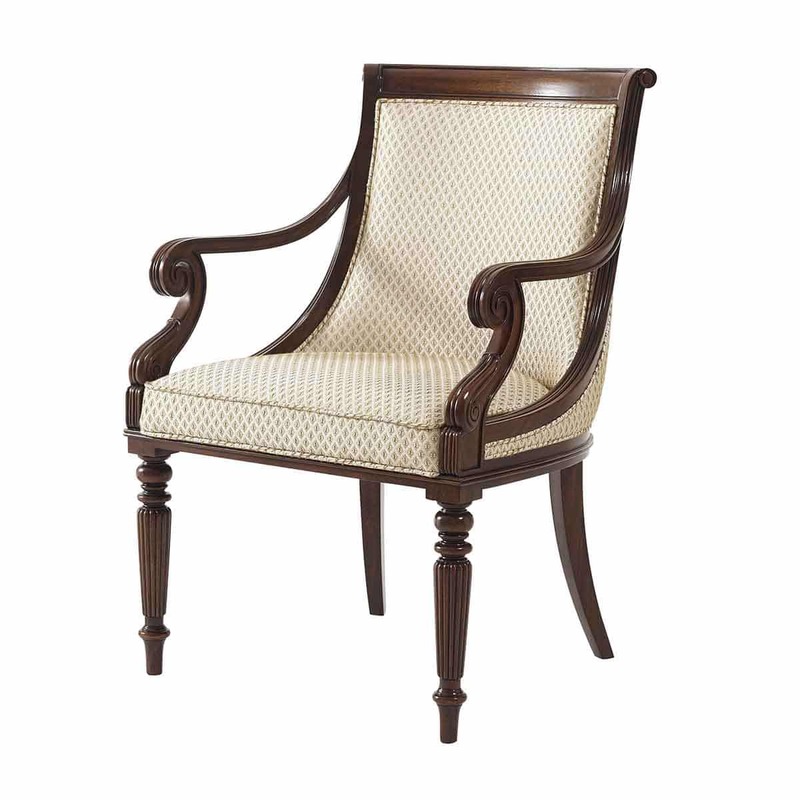 A hand carved mahogany scoop back dining armchair, the panelled and upholstered back above an upholstered seat flanked by scroll arms, on turned and reeded legs. Althorp Living History Collection. Regency. View more product information.